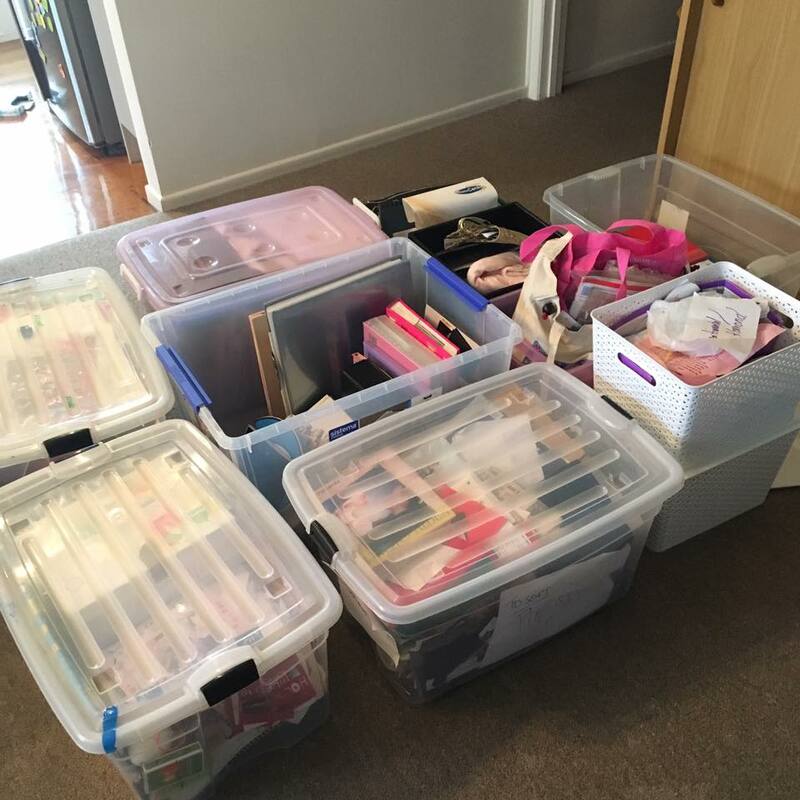 This week I have started to KonMari my Sentimental items...and you know what - I am ready to tackle my PAST once and for all, so I can have everything in order (and organised) for my PRESENT & FUTURE. 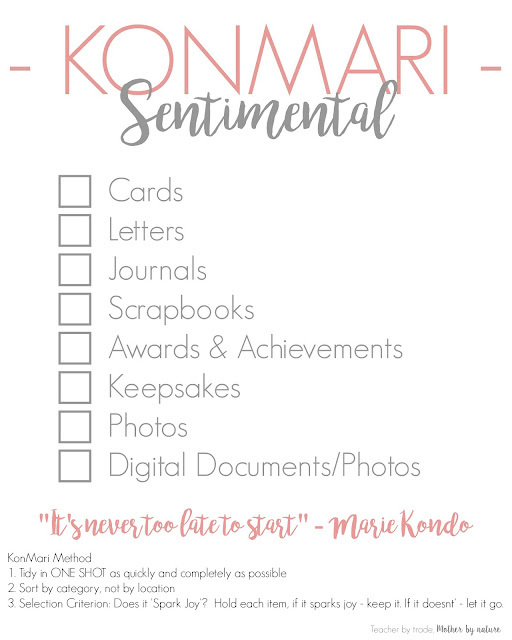 I am really excited about this category - Yes, the photo above is ALL of my Sentimental items - I have hauled it all in my lounge, where it will stay until I KonMari it. Yes, it's A LOT (I told you I'm a Sentimental hoarder) and Yes, it's going to be an emotional ride - a trip down memory lane - however I need to think about the future and the future of my kids...I am ready to let go of my past, not all of it, but there are some things I have held on to, for way too long. This is where it's really going to get life-changing. Let the process begin! Wish me luck. 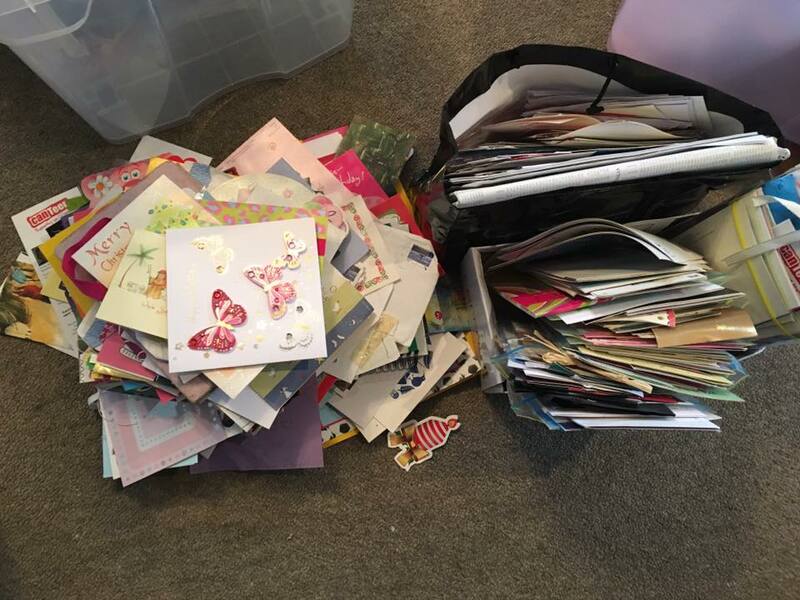 Before I got started on my Cards and Letters, I had to find them all...and that meant going through ALL the containers and boxes that contained my sentimental items. 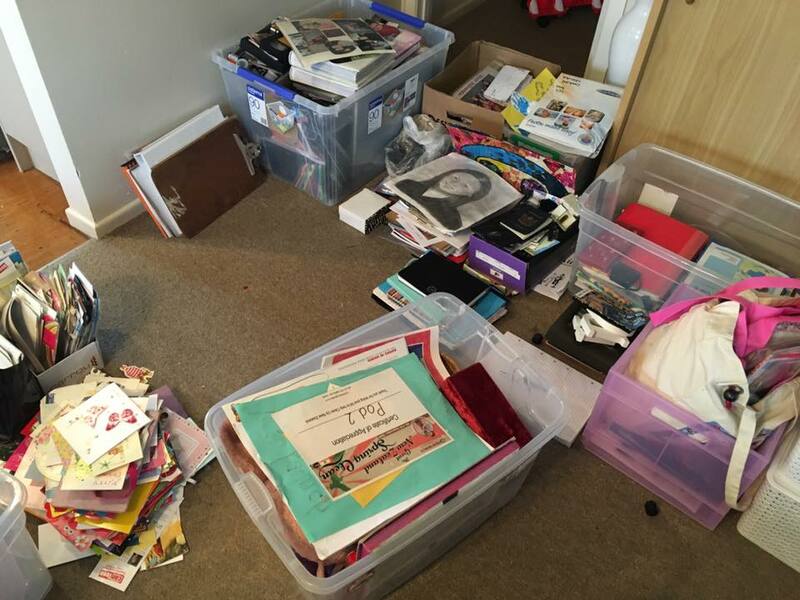 That was the first task - organising the items into sub-categories (Cards & Letters, Journals etc, Awards, Achievements etc, Stuffed Animals, Photos, plus my Kids keepsakes. 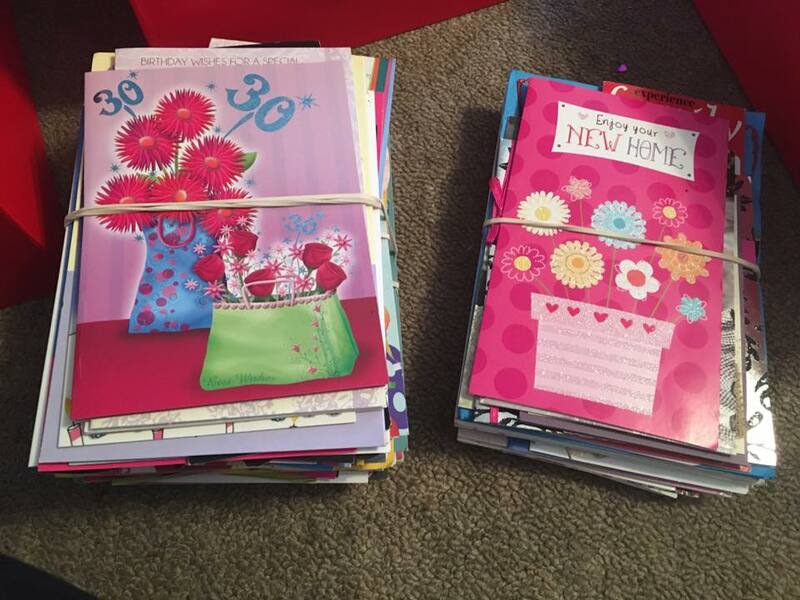 Just by doing this, I managed to find ALL of my cards and letters and was ready to begin the purging process. 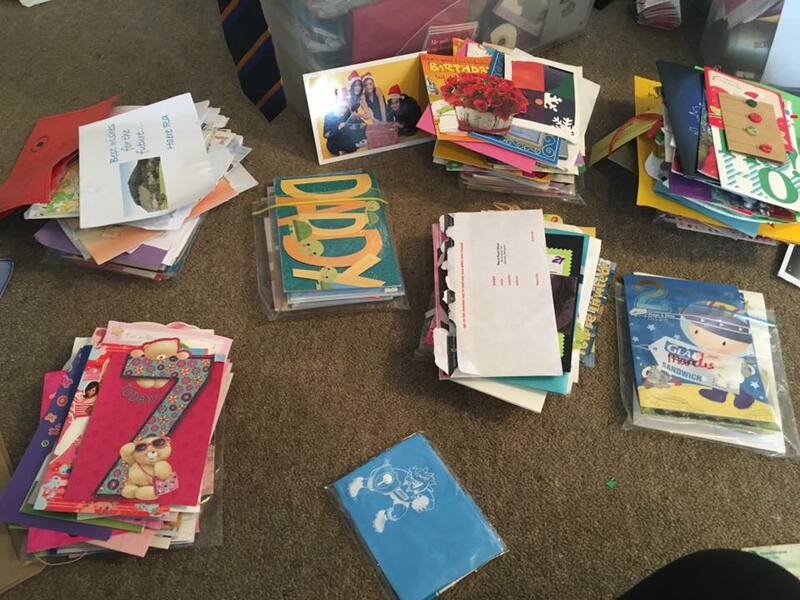 Once I had all of my cards and letters in one place, I organised them into groups - Mine, Partner, Kids, Special Cards & Letters, Kids, Christmas and Invitations. 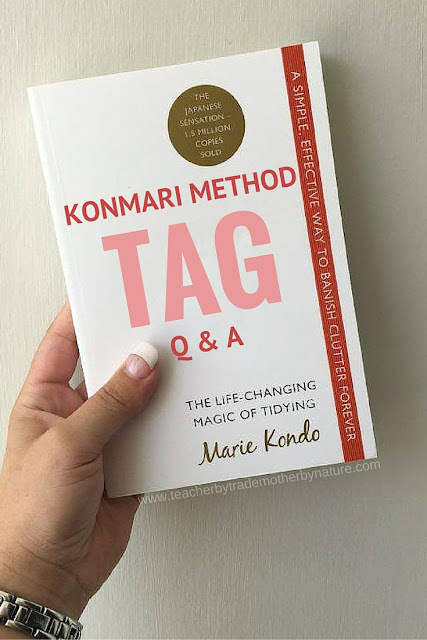 I put the kids cards to the side, because I am plan to do the KonMari method with their stuff later on (KonMari with Kids series). I touched, held and read all of my cards and letters...and put the ones that 'sparked joy' to one side, and the ones that didn't to the other. 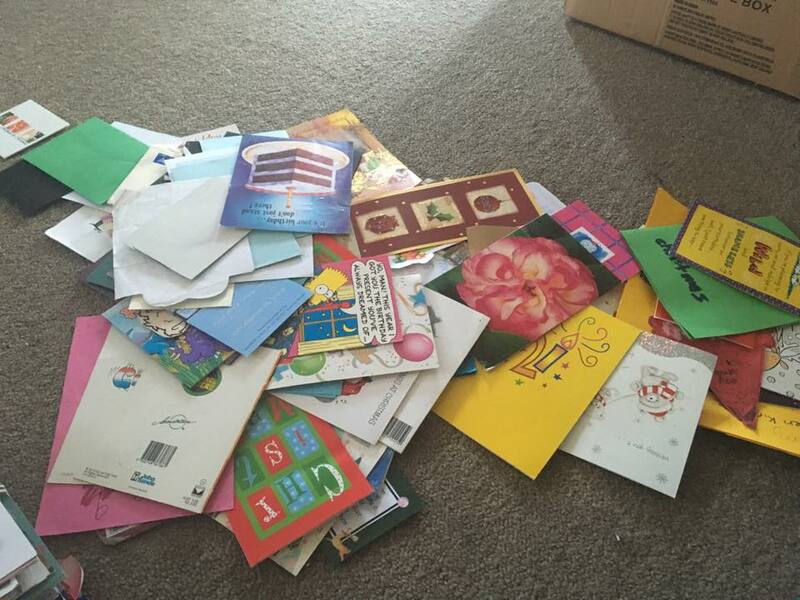 I have to say, it was really nice reading some of the cards I received from family and friends, some of whom are no longer with us...so those cards, I kept. 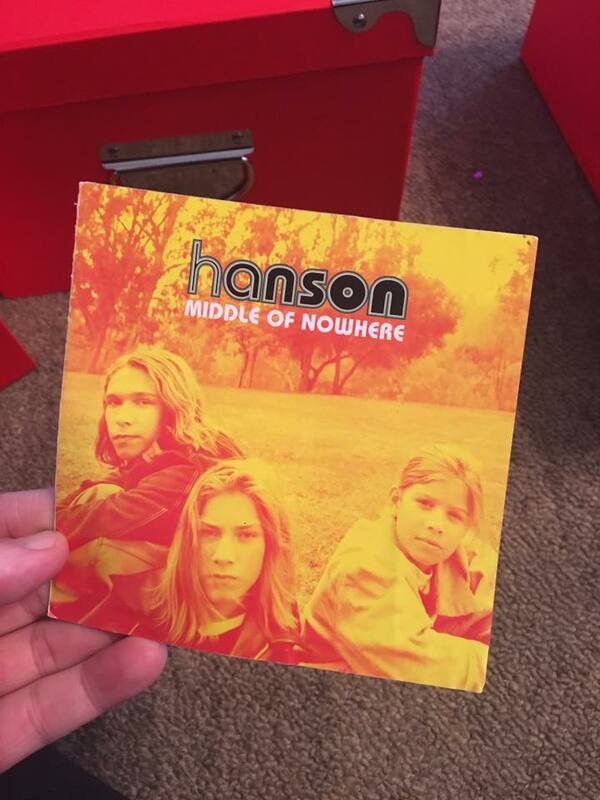 MmmBop still sparks joy - 20 years later! 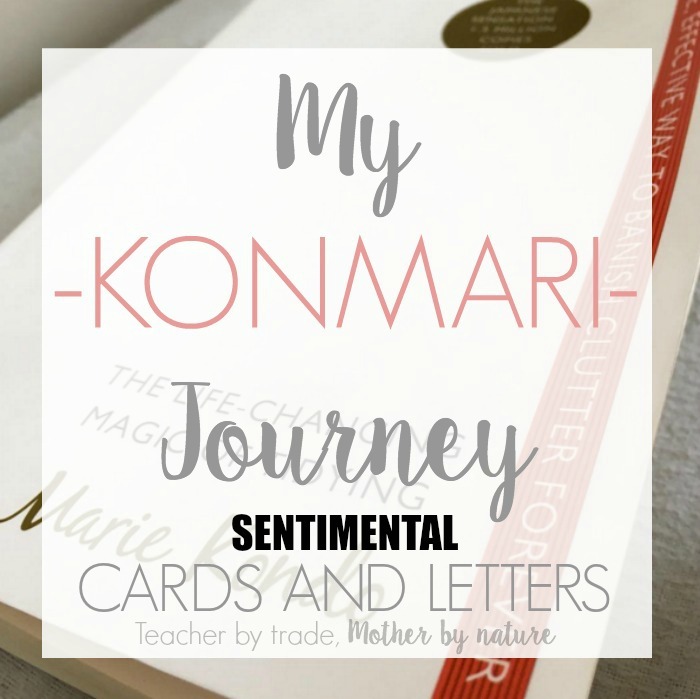 When I first started going through my cards, I wasn't sure if I was going to be able to let go of any...however when I touched them, held them and read them...I knew instantly the cards that sparked joy and the cards that didn't. 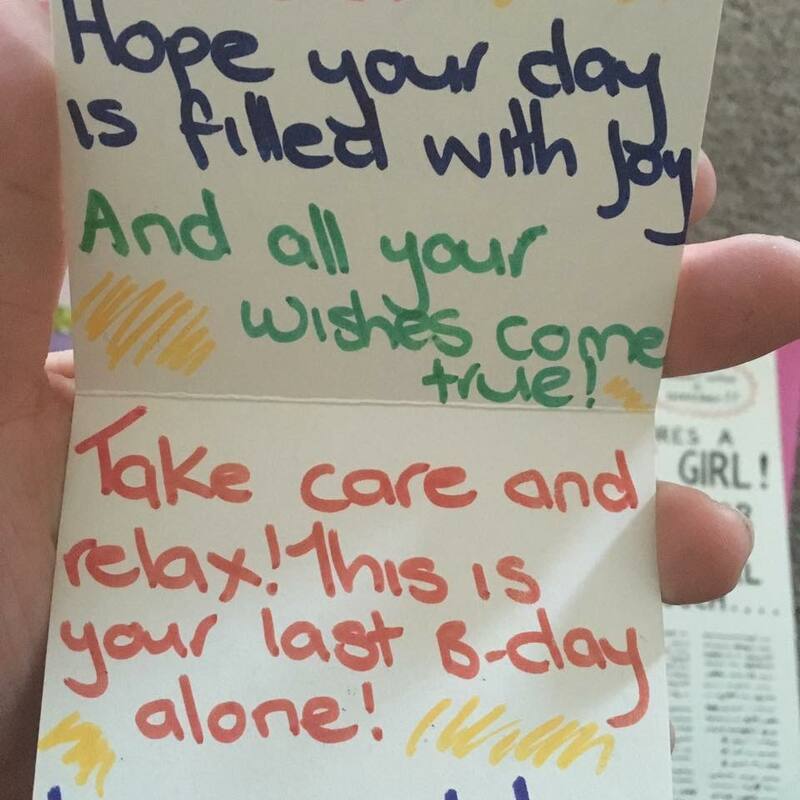 I think the oldest card I found was one I received for my thirteenth birthday (almost 21 years ago). 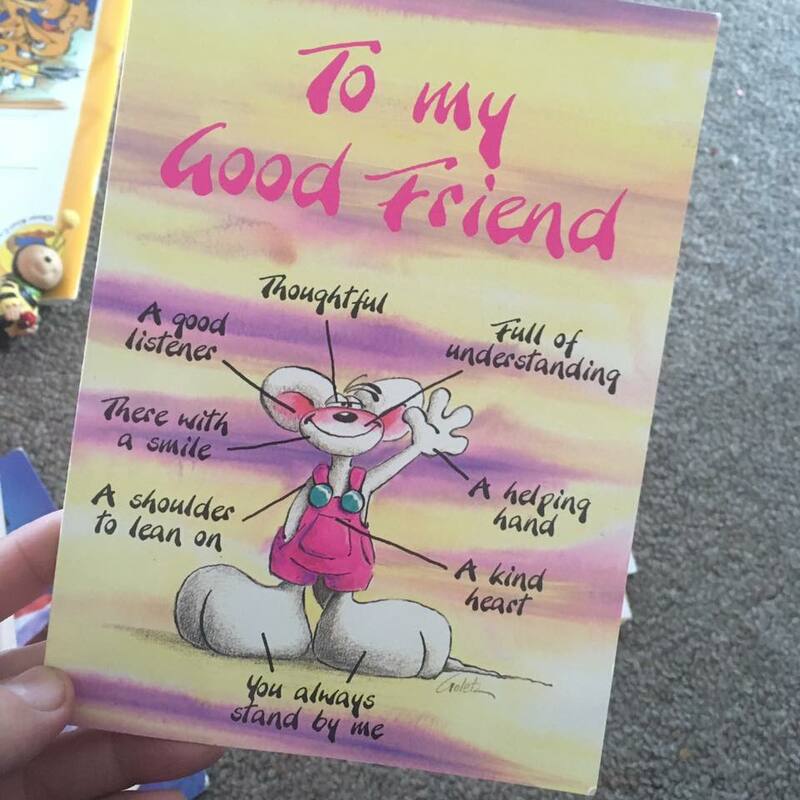 Yes I kept it, because of the beautiful message that was written inside by my friend, who I am still friends with today, so it's a keeper. I also came across a few cards from my Grandad, who sadly passed away 2 years ago...seeing his handwriting actually made me happy, including the very last Christmas card I got from him. I will never get one again, so I am going to keep it and treasure it. 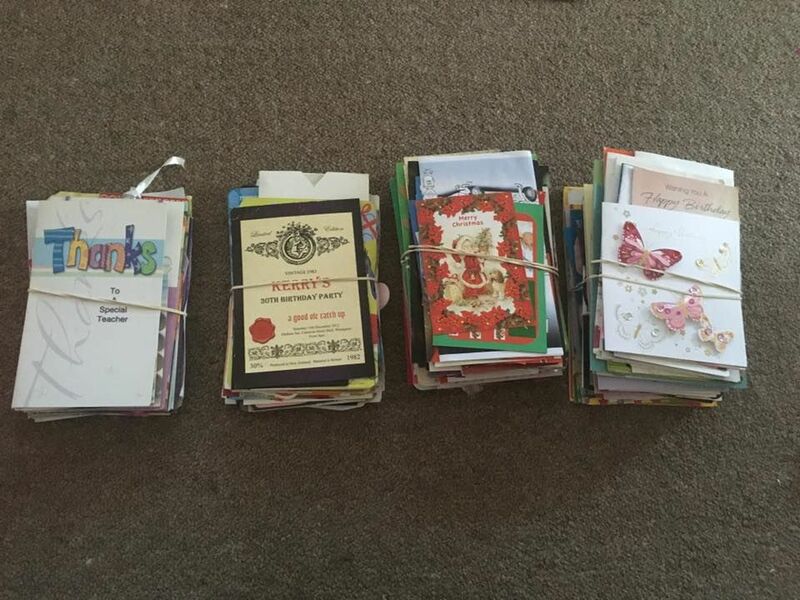 If you are purging any cards, cut the fronts off and donate them to your local PlayCentre, Childcare centre or hospital (Kids Ward) as they are can be repurposed for crafts. 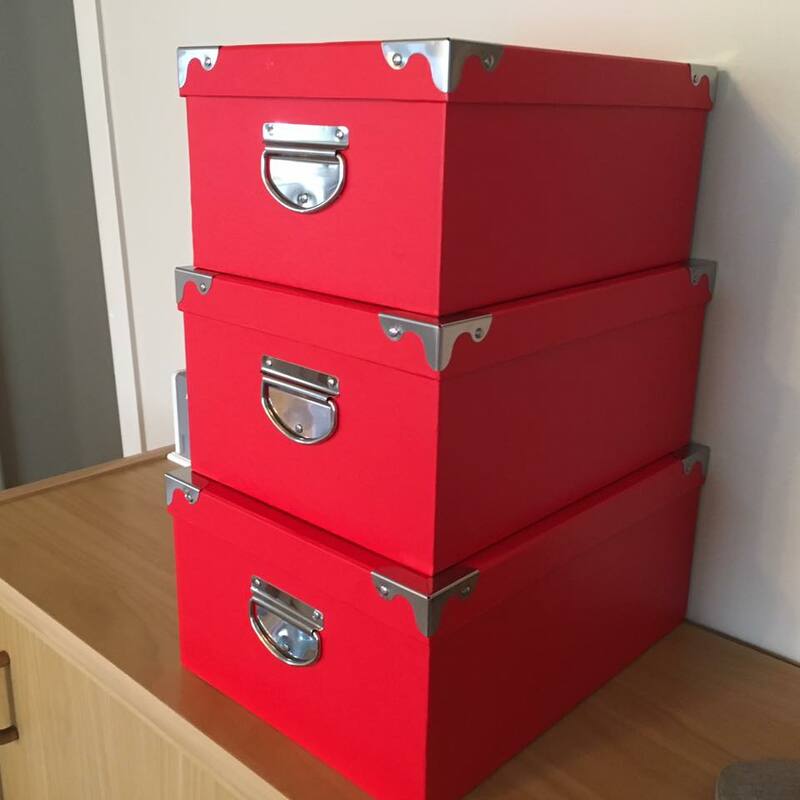 I bought these three red boxes (with handles) to store my Sentimental keepsakes (including Cards and Letters) from our local Dollar Store / CoinSave (prices ranged from $9.99 - $12.50 for these sized-boxes). I corralled the cards (according to event) and letters and used rubber bands to keep them together, then stored in the middle-sized box. (see photo below). For me, this SPARKS JOY! 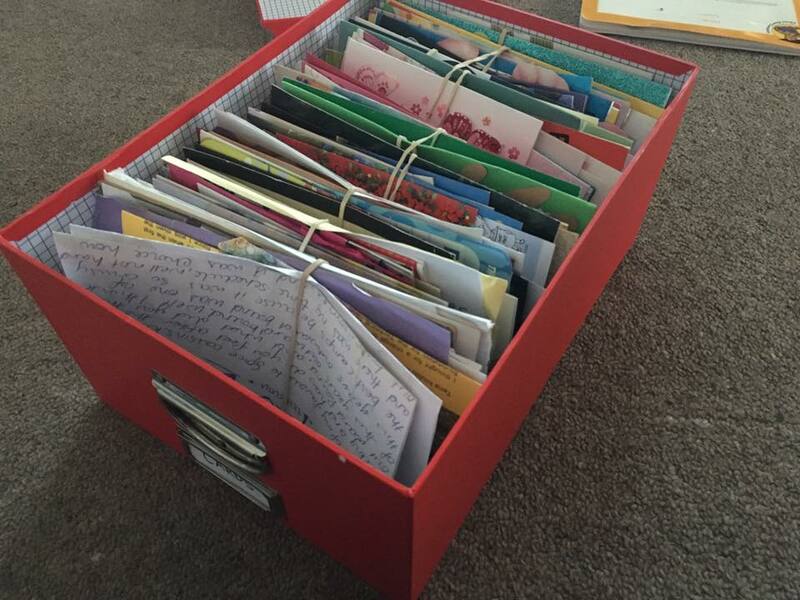 Having all of my cards and letters in ONE place - organised by events. Now if I am ever feeling the need to go down memory lane, I can just grab this box and start reading. Most of the cards are dated (to the best of my knowledge), something I plan to continue to do, especially if I am going to keep them stored in this box. It might not look like it but I did get rid of over half of the cards I started off with, so that's progress. I want my kids to look at these in the future and get a sense of who I am through the kind words of my friends and family. At first, I was actually surprised at the amount of letters I had, because I thought I would have more, and you know what...once upon a time I did. Over the years, I have purged the odd old letter that was no longer relevant. 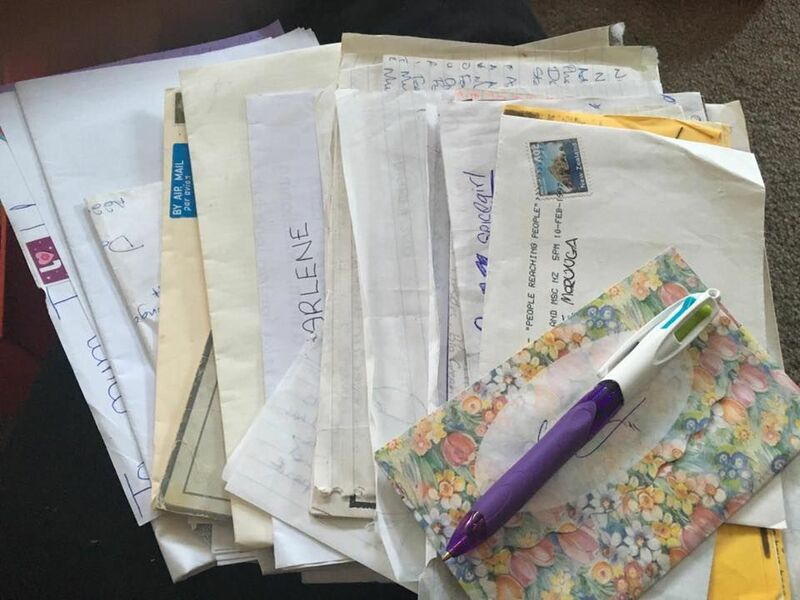 I re-read the letters I had found and purged a few from the pile. It was actually quite liberating getting rid of a few that I had held onto for way too long. Don't you just love that feeling? I came across a pile of blank/unused cards so I will be donating these to my Playcentre, so our kids can repurpose them. And that my friends, is the first part of my Sentimental journey DONE! I feel really good about what I achieved and actually a little excited to continue this category. 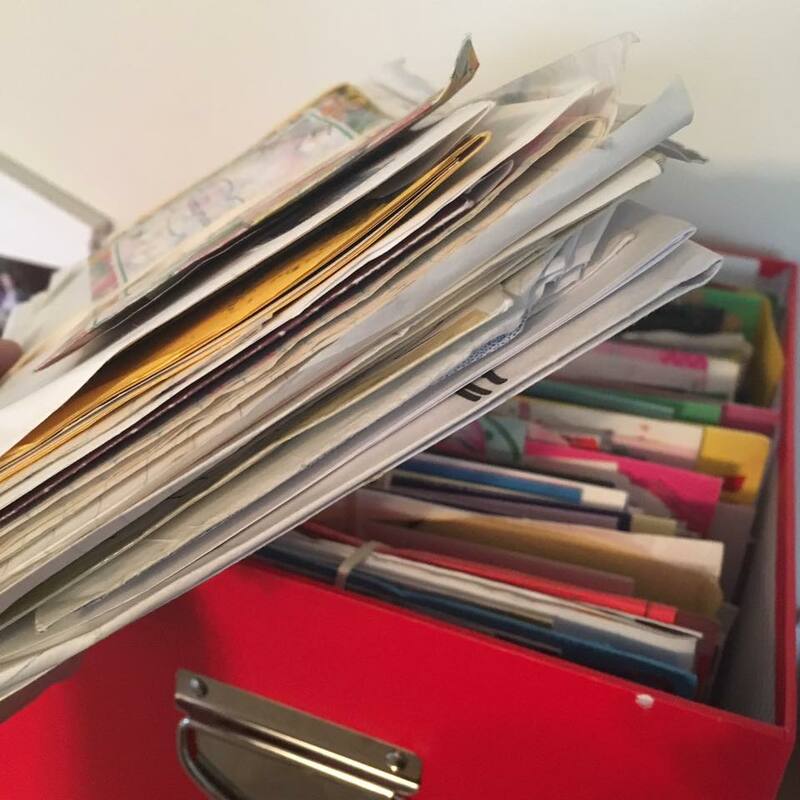 All the cards and letters I have kept...spark joy and they are stored and nicely organised in my keepsake box (that also sparks joy). 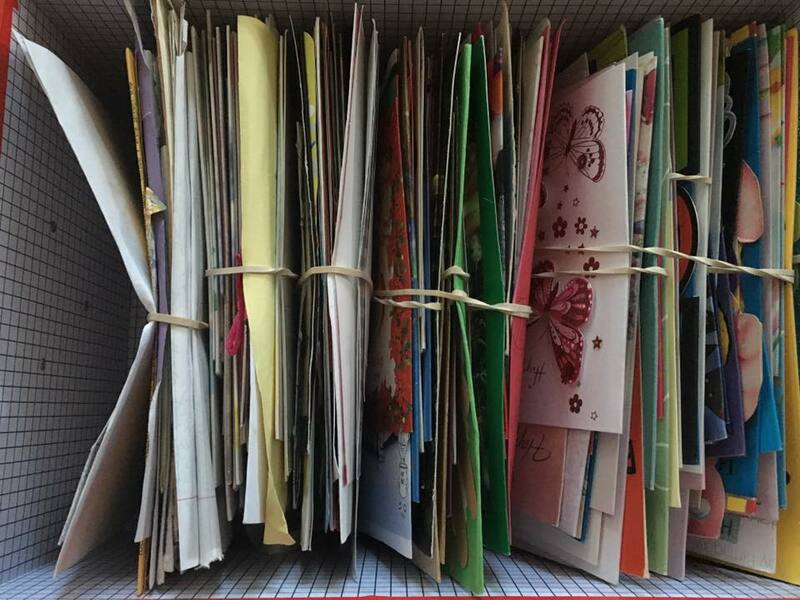 When I was little, my grandmother kept her cards in a box in her bedroom. 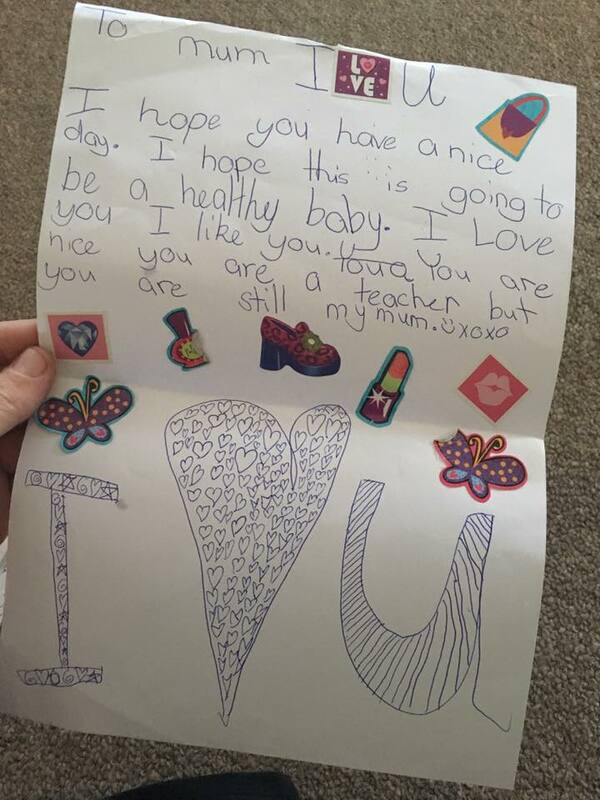 She didn't put all cards that she got sent there - just the very pretty, intricate ones. I LOVED going through that box! I've spent a lot of time just sitting on the floor of her bedroom, rifling through them and 1) checking them out, 2) trying to figure out what the words meant (many were in English and I didn't speak much English), 3) imagining stories that went with them. 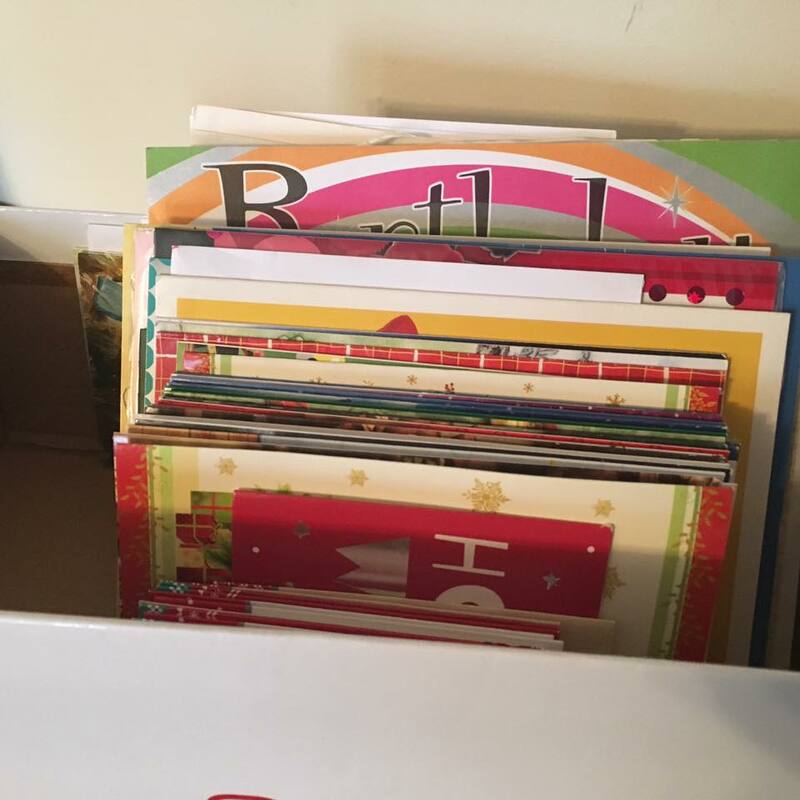 In fact, I got such a lovely memory from it all that now in my own home, I have a cardboard box (just an old box from snowboarding boots I bought a couple of years ago) on a readily accessible shelf where my kids can get to it, full of cards people have sent me. And my kids love it, too. I mean, with my daughter being only 2 it does mean that I often step in the bedroom to find them ALL OVER THE FLOOR! But still. They love playing with them. And I love letting them play with them. I think for me the cards would be the hardest thing to let go. I love how you have organised your cards in those neat little boxes, and the rubber bands are just genius! Thanks Sammie. 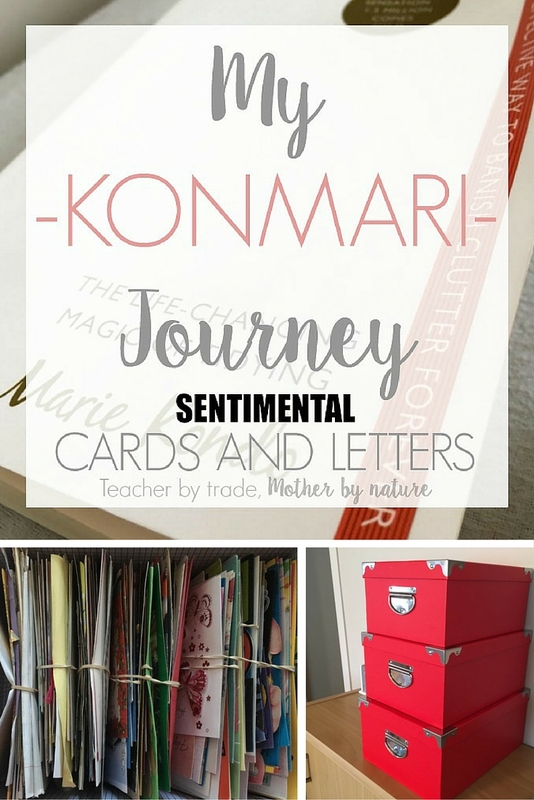 I thought cards would be hard for me too, but a lot of them just didn't spark joy for me, a true testament to the KonMari method. I love the boxes too! I did buy the binder rings but found rubber bands easier.